Description: Italian Tasty Pizza on the Wooden Plate in the Foreground. Appetizing Dish with Different Kinds of Melted Cheese. Tasty Italian Cuisine. Delicious Recipe. 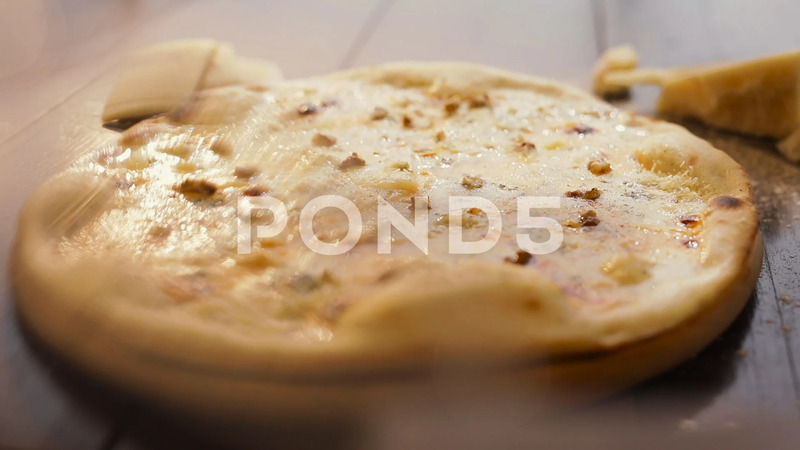 Series of Shots about Pizza.